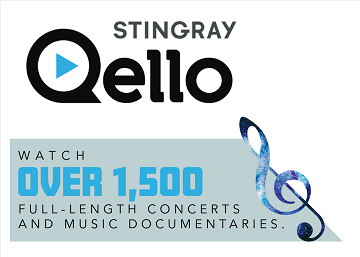 Stingray Qello is the only place to watch over 1,500 of the most amazing live moments in music. It is the world's largest collection of full-length concerts and music documentaries streamed on-demand. To access this exciting range of concerts and documentaries, just visit our RBdigital site and register. Then sign-in, scroll down the page to 'Entertainment' and click on 'Stingray Qello'.